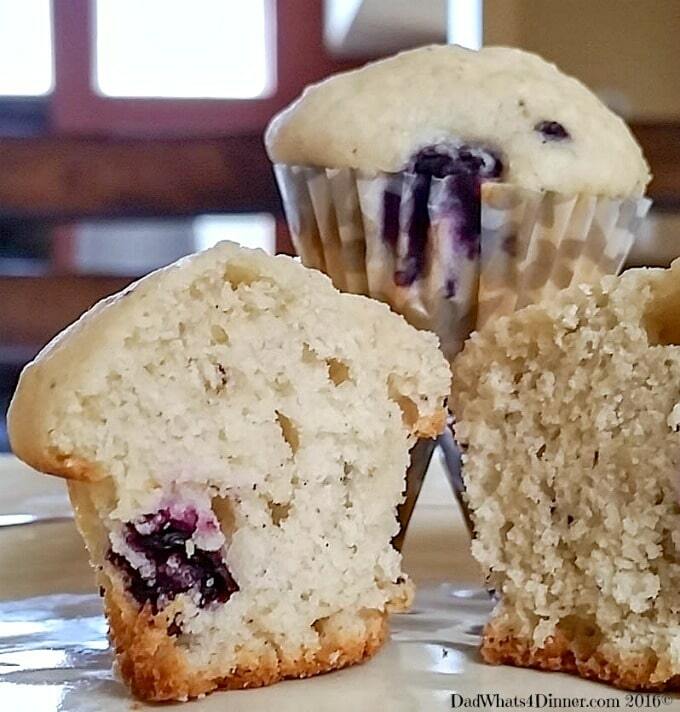 My Blueberry Mascarpone Muffins are extra creamy and perfect for Mother’s Day breakfast, brunch or an afternoon snack! This is an easy homemade blueberry muffin recipe that uses mascarpone cheese for extra creaminess. I also had mascarpone in the fridge and needed to use it; so why not make Blueberry Mascarpone Muffins. If you do not have mascarpone, you can also substitute cream cheese. I first made these muffins for my daughter’s soccer team for a morning snack after their game. 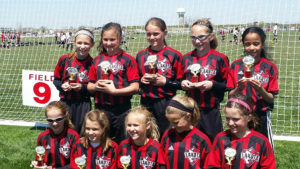 Fall soccer has already started and we have our first out-of-town tournament over Labor Day weekend. During tournament weekends we usually bring breakfast for the girls and the parents. The girls took second place in this tournament. Maybe my mini muffins slowed them down. I will make these Blueberry Mascarpone Muffins again for our next tournament but maybe I will wait until after the final game when they take first place. To make the muffins pre-heat your oven to 375°F. Line a 36 cup mini muffin pan with paper liners. You can also make regular size muffins if so line a 12 cup muffin pan. Lightly spray the liners and the top of the pan with non-stick cooking spray. Add butter and mascarpone cheese to mixing bowl and beat on high until combined. Scrape down the sides and add lemon zest and salt. Beat until creamy. Add the sugar to the mixture slowly, and beat well. Scrape down the sides of bowl as needed. Add and beat in eggs, one at a time. In another small bowl whisk together the lemon juice, sour cream, and vanilla. Add slowly to mixing bowl. Beat until combined Sift flour, baking powder and baking soda in a separate bowl. Slowly add flour to mixing bowl, (reserving about 1/4 cup). Mix on slow to combine making sure not to over-mix. Toss blueberries with reserved 1/4 cup flour mixture. 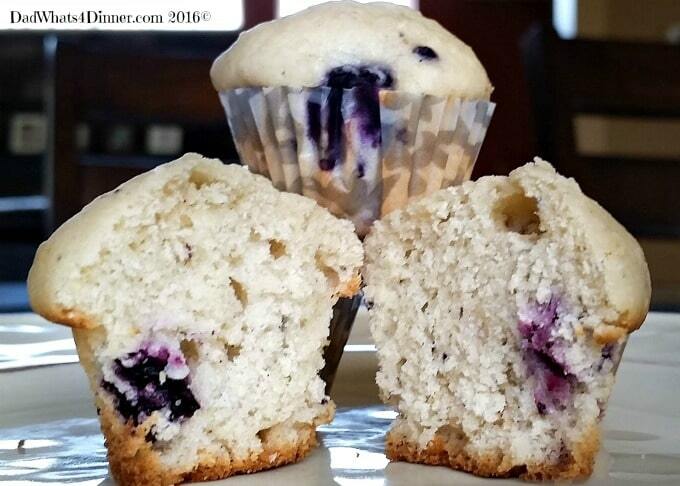 Gently fold in blueberries into the muffin batter. Fill each baking cup to 2/3 full and bare for 9 -13 minutes until muffins turn brown and a toothpick inserted into the center of a muffin comes out clean. (If making regular size muffins bake for 15-20 minutes) Cool 5 minutes in the pan before turning out muffins on a cooling rack. 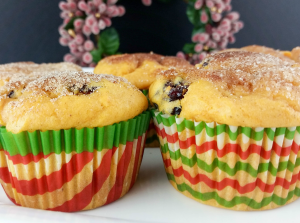 My Blueberry Mascarpone Muffins are extra creamy and perfect for breakfast, brunch or an afternoon snack! Line a 36 cup mini muffin pan with paper liners. If making regular size muffins, line a 12 cup muffin pan. Lightly spray the liners and the top of the pan with non-stick cooking spray. Add butter and mascarpone cheese to mixing bowl. Beat on high until combined. Scrape sides and add lemon zest and salt. Add the sugar in slowly, and beat well. Scrape down the sides of bowl as needed. Add and beat in eggs, one at a time. Sift flour, baking powder and baking soda in a separate bowl. Slowly add flour to mixing bowl, (reserving about 1/4 cup). Mix on slow to combine. Do not over-mix. 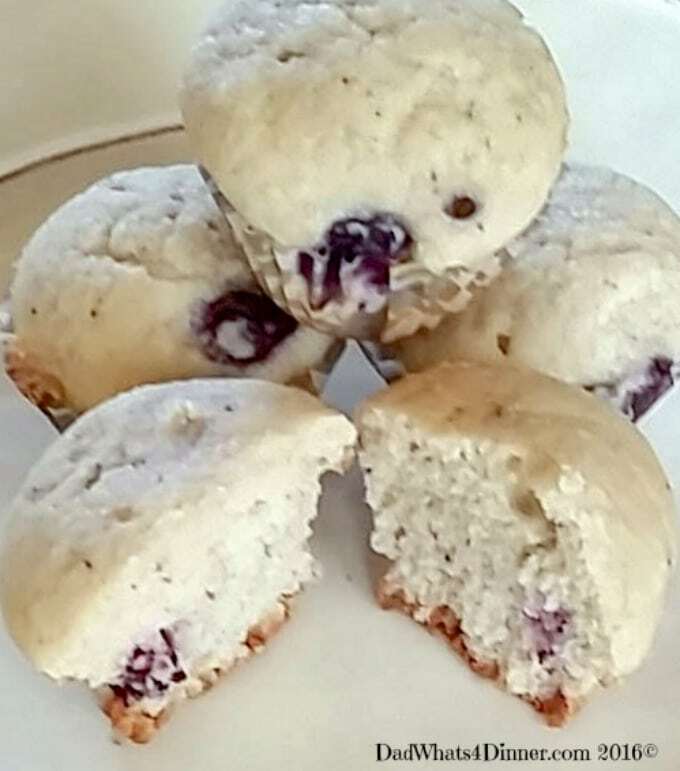 Toss blueberries with reserved 1/4 cup flour mix. 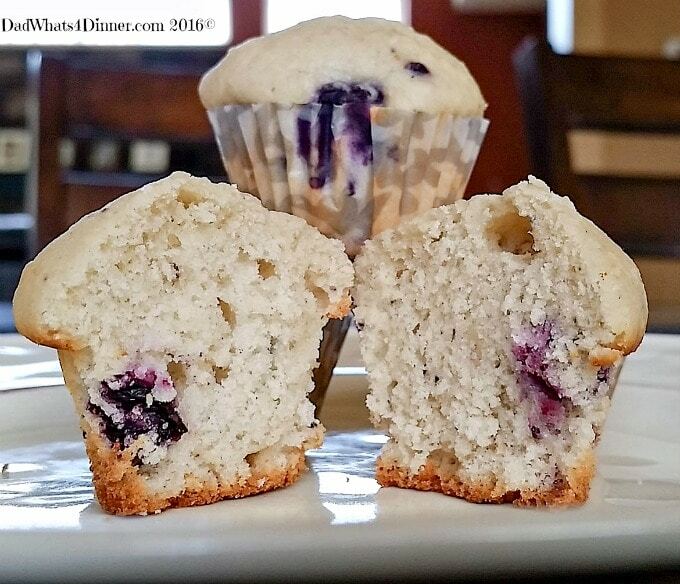 Gently fold in blueberries into muffin batter. Fill each baking cup to 2/3 full. Cool 5 minutes in the pan before turning out muffins on a cooling rack. 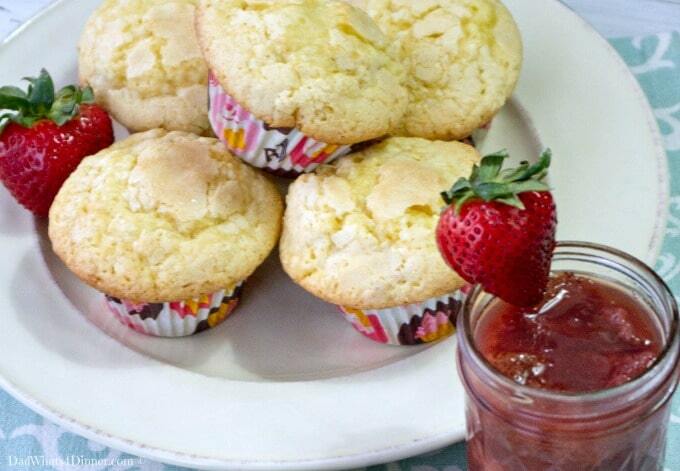 -Store left-over muffins in an airtight container in the refrigerator up to 3 days. Congrats on the second place! I love how you can make these muffins for Father’s Day too. What a sweet idea. Happy FF, and have such a fun weekend. Thanks. The girls played well. Have a great weekend and Happy FF! Congrats for being the second place. 🙂 These muffins look amazing, Quinn. I haven’t tried baking muffins with mascarpone. Happy FF. Workd about the same as cream cheese except cc is a little more dense. Have a great weekend. I was in the same boat with extra mascarpone in the fridge and I thought why not. They turned out great. Happy FF! Thanks. They are great bunch ten year old girls. Awesome kids and athletes. Very yummy. Thanks for stopping by. Have a great weekend. A total pleasure and you too? Any exciting plans? wow that sounds great a whole week to yourself!!! Wow those look so soft and yummy!! Mascarpone is delicious 😀 Enjoy your weekend! Thanks Amanda. Have a great weekend also. These look awesome! I love mascarpone in just about anything, not tried it in muffins though – definitely gonna have to try these ones! I think the mini muffins must have been perfect fuel for the kids, congrats on their second place! Thanks so much for sharing these with us at Fiesta Friday! Thanks Michelle. Happy FF! and have a great weekend. They came out beautifully! I love baking muffins and will be adding this one to my arsenal! The white crumb is just beautiful on these. Happy Fathers Day! The muffins look delectable! Great to have found your blog through FF! These look heavenly:-) Thanks for linking up with us at Funtastic Friday. I love muffins and these sound amazing!